How Many Months Can you Make Monthly Installments for Nectar Sleep Mattress and Base? Nectar is one of Unbox Mattresses top rated memory foam beds. They recently came out with a base (adjustable bed frame). What will your monthly payment be if you want both? Depending on your credit, it will cost you the same as paying the whole amount up front but you can get it spaced out over up to 24 months to keep your payment down. It’s fast and easy to get financing for your mattress purchase online, which is why so many online mattress brands use a finance company called Affirm. Nectar doesn’t make a profit from financing, they simply sell more beds because people don’t have to save up to purchase. How Many Months can you Make Monthly Installments for Nectar Mattress and Base? In this example we will assume you are buying the Nectar king mattress with the king size adjustable base. You’ll also 2 free pillows. Be sure to add sheets if you need them. If you want a king adjustable bed that is two separate mattresses so you can operate each side together or independently, then order 2 twin XL mattresses (they will be 80 inches long, the same length as the adjustable base) with a SPLIT king adjustable base. Otherwise order a king mattress and base. Note: you can pay an additional $149 for them to deliver, set up your new mattress and remove your old mattress. Nectar uses Affirm which is what most boxed companies use to finance purchases. They allow you to break everything down to an affordable monthly payment. It’s also instant approval if you qualify so you know immediately what the terms on. You don’t have to wait until you finish payments either – you get your mattress and base right away. In my hypothetical example, here’s the step-by-step of how Affirm mattress financing works. Step 1: Choose the products you want to buy and at checkout, choose PAY WITH AFFIRM. The next screen will ask you to confirm your shipping and billing address. Click the button “continue with Affirm” at the end of the page. Last four digits of your social security number. Be sure this information is your own and is consistent information otherwise you may experience difficulty with your checkout. You will get a text message to your cell phone with a unique authorization code to confirm your identity. Enter the authorization code into the application form. Within a few seconds you’ll see the loan amount you’re approved for, the interest rate, and the number of months you will have to pay off your loan. At this point you will see the monthly payment and how long you will pay it. Step 2: Select the best option for you. I picked the $111 payment for 18 months. I have no interest to pay and don’t have my first payment due until next month. Step 4: Enable autopay (or not). Note: you won’t get charged or complete the sale yet. Step 5: Confirm your purchase. You are now ready to buy, click “confirm loan” to buy. You can pay the amount over as little as 3 months up to 24 months. Some purchases may require a downpayment. • If approved, you will see the loan terms before you make your purchase. You’ll know exactly how much you’ll owe each month, the number of payments, and the total amount of interest you’ll pay over the course of the loan. There are zero hidden fees. • Even if you don’t have an extensive credit history you might still qualify for Affirm financing. Affirm does not affect your credit score. • Opt in to get an email and text reminders of when your payment is due. Turn on “Autopay” to schedule automatic monthly payments. Pay with a debit card, bank transfer, or check. 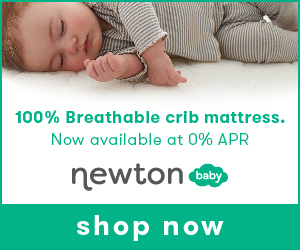 Want to buy another mattress? 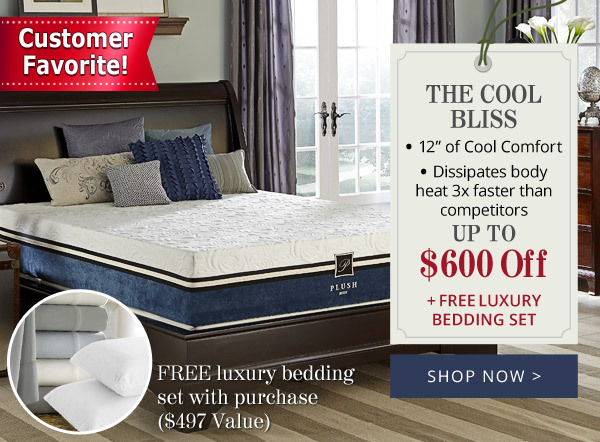 See leesa mattress financing or other brands in our big list of brands that use Affirm. Mattress Firm has their Memorial Day sale going on now. Prices are good in store and you can order them online. We recommend buying online and skipping dealing with a mattress salesperson. See our list below for some of the top deals this year! Memorial Day Sale: Free Adjustable Base on $599+ Mattress Purchase + Get a King for a Queen and a Queen for a Twin! The sale runs from 5/16 to 5/29 at MattressFirm.com and you have many choices in different price ranges to choose from. You can also chat with a sleep expert on their website to answer any questions you might have. The advantage is they offer free delivery and it’s really fast. You just schedule it through their site. Affirm mattress financing is a way to buy a mattress online and pay in monthly installments. It’s a great choice when financing a mattress purchase so you don’t have to pay the full cost up front but can get your bed right away. Keep reading for a list of online mattresses that use financing online. The popularity of bed in a box mattresses has skyrocketed in the past few years! It’s easy to see why — they are very comfortable, affordable and durable mattresses that are delivered directly to your door. Plus you get to actually sleep on the mattress you buy for at least 3 months and get a full refund if you decide a mattress isn’t for you. However, even with the great prices, it can be a lot of money up front. That’s why many boxed mattresses offer easy financing. You pay for your cell phone, your car and other important purchases you depend on every day with financing. Why not your mattress that you’ll sleep on every night (and that will affect the quality of your life and health)? What about paying for that mattress, the sheets, the pillows, the bed frame, mattress protector, the headboard, etc? It can add up but protecting and getting the most from your mattress could add up to a big amount. We pay for our phones and cars monthly, why not our beds where we spend so many hours on each day? However, mattresses and bedding are a large payment to pay all at once. You need a new mattress right away – you’re not sleeping well on that mattress you bought years ago that has big divots now. Your back is hurting. Or maybe you moved into a new house or have a child moving from crib to a big kid bed. You know you need a mattress but you don’t need the big hit on your budget or credit card bill. That’s why you may be thinking about bed in a box mattress financing with Affirm credit. One of the most popular bed in a box products is the Purple mattress. Unfortunately, bed in a box products like the Purple mattress can be quite expensive. That is why many bed in a box companies offer financing with Affirm — a leading provider of small loans for consumer purchases. Most companies use Affirm so we want to let you know what to expect when you do Bed in a Box Mattress Financing With Affirm Credit. A mattress is a big purchase and many people don’t have the money upfront to buy one. Affirm gives you a low monthly payment and often without interest and you don’t need to take out another credit card. Applying is easy and you get an answer within seconds. Get your mattress now but pay later. Let’s take a closer look at Affirm and how you can obtain your bed in a box mattress on credit. Affirm offers consumers financing for small to medium purchases from selected merchants. The finance is offered at the point of sale, so you can apply for Affirm credit right on the website when you buy a mattress. Obtaining credit from Affirm is very simple and an easy option and many bed in a box manufacturers offer Affirm. Affirm is an alternative to credit cards and personal loans. However, unlike many personal loans, Affirm has no prepayment penalty. That means you can pay the loan back as quickly as you want. Once you decide to purchase your mattress online, you can select Affirm as your payment method. Then provide a few personal details so they can perform a soft check on your credit score. This type of credit check will not affect your credit score in any way. They will determine your risk as a borrower before approving you. Your credit score helps determine the interest rate that you’ll get. Rates can be anywhere from 10% to 30% but many offer 0% interest for a set number of months. After you have been approved, you select a repayment schedule which will be 3, 6, or 12 months. Affirm will show you exactly how much you will need to repay each month, including interest so there are no surprises. Save on interest by paying faster (6 months interest free, then it jumps to over 15% for a year, etc.). You don’t pay that much more in interest for a lower payment stretched out over 18 months. Once you complete the purchase, the merchant will send you the product and Affirm will send the merchant the money so you can get your mattress right away. You then pay back Affirm on a monthly basis. You pay the month after you place your order. You can enable autopay so you don’t have to remember to pay. When applying for Affirm credit, they will perform a soft credit check to check your identity and determine if you are eligible. Affirm does not specify the minimum credit score required for obtaining finance. Users at CreditKarma gave Affirm a rating of 3.8 our of 5. Reviewers used Affirm to purchase things like mattresses, car tires, shoes, computers, and white goods. The lowest reviews were mostly from users who had trouble with the merchant. In some cases, they had to return goods and were charged an unexpected restocking fee by the merchant. Other complaints were relating to late payments affecting their credit score. Compared to other finance providers, Affirm has a very high rating and high level of customer satisfaction. Just remember – you do need to pay your monthly payment on time and Affirm isn’t responsible for the return process or fees from the brands you buy from. Purchasing a mattress can be a large up front payment. For example, Purple, one of the most popular mattress brands, sells mattresses ranging in price from $1,299 to $3,499. But it’s not just the mattress. These mattresses are usually only the top part. You may need to buy a bed base (or even an adjustable base), new sheets, a mattress protector and pillows. Affirm makes it easier to afford your mattress and everything you need to go with it. Affirm is easy to apply for and you will be approved quickly. Managing repayments is simple and their interest rates are quite competitive. You will know exactly how much the repayments are, which makes managing your finances simple. Affirm is a leading company in this space (almost everyone uses them). They’re a reputable company that has been offering consumer finance for many years. They provide you with a clear repayment schedule and there are no hidden fees (no late repayment fees and no prepayment fees). However, like all credit products, there is some risk involved. If you stop making payments, the amount of money you owe will continue to increase due to the interest being charged. It will also affect your credit score. You should only enter into this agreement if you can afford the monthly repayments. Does Affirm report to credit bureaus? For loans requested on or after August 3, 2016, Affirm reports information about your credit activity to Experian. They intend to report to more credit bureaus in the future. Yes! Paying back an Affirm loan on time will improve your credit score. It’s a great way to improve your credit. Be sure to set up automatic payments through your online bank if you’re forgetful. The number one thing you need to do to build your credit with your mattress purchase, is to pay each month on time. We hope you enjoyed reading Bed in a Box Mattress Financing With Affirm Credit. If you have any questions about Affirm or buying a bed in a box mattress, post comment below!